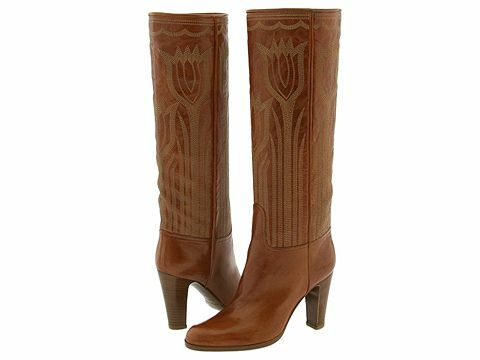 This gorgeous pull on knee-high boot has detailing that is to die for! ; Rich leather upper with intricate embroidery. Leather lining. Stacked heel. Leather sole. Made in Italy.